The PUMA x SEGA RS-0 Dr. Eggman take cues from Sonic the Hedgehog’s archnemesis, from his flashy outfit to the black and yellow caution stripes from his Eggmobile represented by the sneaker’s all-over red upper and footbed. The upper is decked in a pebbled patent leather with micro ventilation perforations, a debossed PUMA Formstrip, and a debossed Dr. Eggman head that shoots fireballs from his Eggmobile. His conniving face and fireballs are debossed on the medial heel, while gold rings, have been inserted on the lace. The footbed features black and yellow caution stripes - nod to the graphics on Eggman’s Eggmobile. Metallic outsole and caution stripes take design cues from his scientific machinery. Outsole features translucent blue rubber and Sonic logo under print, the exact color referenced from Dr. Eggman’s glasses. Tongue label features the collaboration logo and RS-0 binary number branding. Both sneakers are packaged a special box that inspired by the iconic Green Hill Zone. 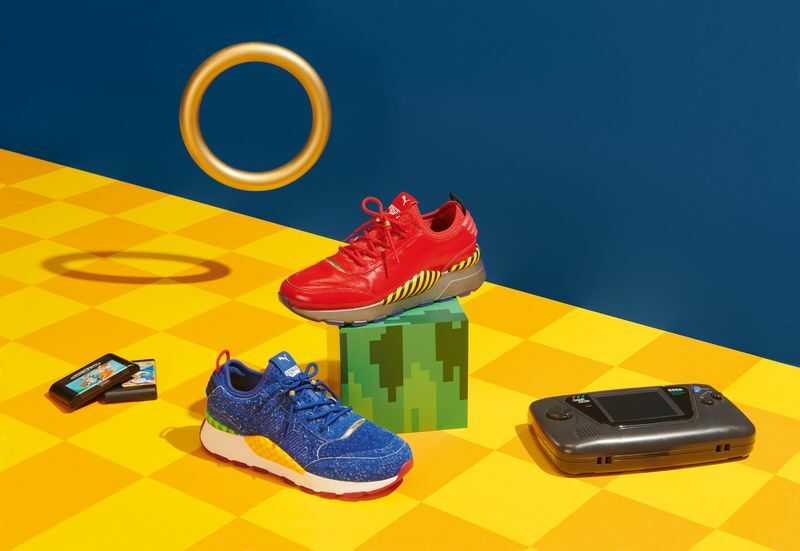 The PUMA x SEGA RS-0 Sonic and Dr. Eggman sneakers will be available at puma.com, PUMA Stores and select sneaker retailers globally on June 5th. Follow @PUMASportstyle and @sonic_hedgehog on social for release information.